All of us are aware of the fact that both air coolers and air conditioners are used for the purpose of cooling the homes. In spite of the function being the same there are some notable differences between the two and also there is a set of individual advantages as well as disadvantages for both these appliances. Let us try and find out some of the major differences between the two appliances. First of all, an air cooler uses air and hot water to cool the rooms while the air conditioner uses a compressor like the one present in the refrigerator to carry out the cooling process. In fact this is the most prominent difference between the two appliances. Climate of the region is largely important for the air cooler to function well. For instance, air coolers work best in hot and dry weather conditions while the air conditioners works well in all weather conditions. Here it needs to be noted that the cooler has the power to add moisture to the air and so it is a useful appliance during the winter season. As far as the energy efficiency is considered, air coolers use far less energy when compared to air conditioners. In fact HVAC experts are of the opinion that the use of energy by air coolers is around 75% less. This means if an air cooler is used the amount of savings on utility bills will be considerably high. The reason as to why the use of energy is lesser because the cooling takes place naturally and so only little extra energy is required for the creation of the cold air and the only mechanical parts that use electricity are the fan and the water pump. On the other hand air conditioners have more number of mechanical parts than the air coolers. 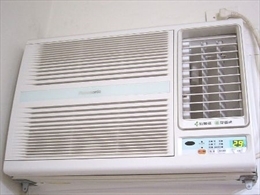 Air conditioners have mechanical components like the compressor, two fans and two set of coils and all of them require electricity for their operation. Another difference between the air coolers and the air conditioners lies in the way they are installed. 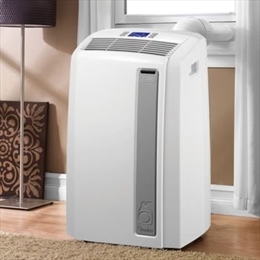 The air coolers are small in size and can be easily installed both inside and outside the house; while air conditioners are cumbersome appliances that need to be installed either on the windows or on the walls for them to function properly. Hence, it can be said that air coolers are more flexible than the air conditioners. As far as effects on the environment are concerned, it is said that air coolers do not have any impact on the environment as they use water as a refrigerant. As a result, there is no depletion of the ozone layer. On the contrary, such is not the case with air conditioners, they use refrigerant which have ozone depleting properties. Thus, air coolers are more suitable if you are concerned about the environment. Lastly, the cost price of air coolers is also lesser than that of air conditioners because the cooling effect brought about by air coolers is also not as much as air conditioners. In conclusion, it can be said whether you are buying an air cooler or an air conditioner, it is better to have a clear idea about their properties.